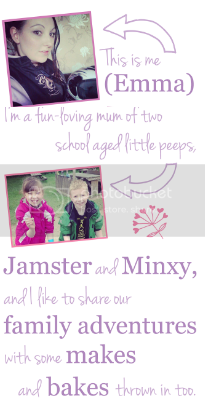 Interplay myStyle Craft kits are aimed at children aged 8+ and they are ideal for those who have an interest in creativity and fashion - just like Minxy. 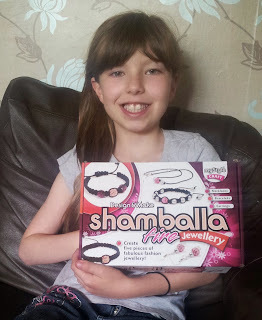 We received the Shamballa Fire Jewellery set to review and it was really enjoyable designing and making bracelets, earrings and necklaces. The set includes everything required to make 5 pieces of jewellery. The beads supplied come in a variety of colours and Minxy really loved how some were glittery and her favourite shades of pink. 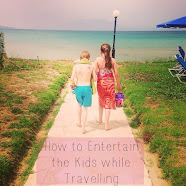 The instructions supplied are well detailed with lots of imagery to guide you through the entire process. Minxy found the macramé knotting a bit difficult at first but soon got the hang of it with a little support. She was really eager to make gifts for her friends and family and a few pieces for herself. The plastic container was great for storage of the items she had made and for those she was still creating. All of the kits content was really good quality and the beads were heavy rather than hollow. I was impressed with the set and as the items take some time to make it will keep tweens to teens well entertained. 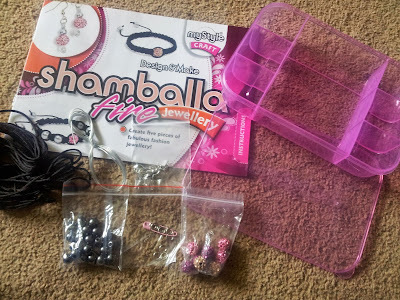 The Shamballa Fire Jewellery Set costs £12.99 which is good value, especially considering how much this style of jewellery currently retails at. Lilly has been asking for this set, but I think it will be too old for her at the moment. Thanks for your honest review.